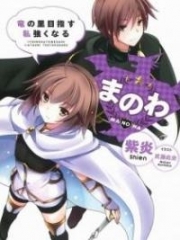 You’re reading novel Chaotic Sword God Chapter 1132: The Third Layer Of Formations online at LightNovelFree.com. Please use the follow button to get notification about the latest chapter next time when you visit LightNovelFree.com. Use F11 button to read novel in full-screen(PC only). Drop by anytime you want to read free – fast – latest novel. It’s great if you could leave a comment, share your opinion about the new chapters, new novel with others on the internet. We’ll do our best to bring you the finest, latest novel everyday. Enjoy! Jian Chen did not hear the discussion between the sword spirits. He had placed all his attention on Rui Jin, Hei Yu, and Hong Lian. Even Saint Emperors would struggle to injure Hei Yu and Rui Jin once they had equipped their origin energy armor. Their origin energy weapons allowed them to use attacks on the level of Saint Emperors, so their battle prowess was extremely frightening. They were basically two real Saint Emperors. Rui Jin fought the Cla.s.s 9 feral beast all by himself. Their fight was devastating as terrifying energy rammed into the formations on their sides, but the formations only trembled slightly and did not break. What was even more unbelievable was that their fight actually failed to cause any damage to the ground. The invisible energy that protected the land was just far too incredible. The Cla.s.s 9 feral beast had awakened intelligence long ago. It had grasped Saint Emperor abilities after many years of cultivation, so it was very powerful. It was equally matched with Rui Jin, but it feared Rui Jin’s Sacred Dragon’s Sword very much. It always dodged and never dared to take it head-on. Origin energy was a type of energy at a whole different level. It was far more powerful than the energy of Saint Emperors, so it would pose great harm to Saint Emperors. When the path lord of carnal desires and the two Saint Emperors of the Beast G.o.d Continent clashed with Rui Jin and Hei Yu, none of them dared to take the origin energy attacks head-on. That origin energy was something that Saint Emperors feared very much. Hei Yu charged at the beasts with his machete and started a ma.s.sacre. The strongest beasts only possessed a similar level of cultivation as him, but Hei Yu was a mutated Divine Alligator. He possessed a battle prowess far greater than beasts of the same level. Coupled with his origin energy weapon, he was even stronger. Even when caught in an encirclement of beasts, he did not fall to a disadvantage at all. He instead continued to kill them one by one. In just a few seconds, over ten beasts had died to Hei Yu’s hands. This included two at the Great Perfection of Saint King. Fear filled the eyes of the remaining beasts when they saw how powerful Hei Yu was. They wanted to run away. Among them were three other beasts at Great Perfection as well, but they did not become involved with the battle. They retreated out of the formation after understanding the situation in front of them. They had already become utterly terrified by Hei Yu’s battle prowess and had lost all courage to fight. In the end, a few more beasts died and the remaining ones retreated out of the formation. They had learned how to get out quite some time ago. Without an opponent, Hei Yu glanced at the Cla.s.s 9 feral beast that fought Rui Jin. A vicious light flickered through his eyes. The Cla.s.s 9 feral beast’s heart skipped a beat when he saw this. A thought immediately pulsed from it, “Outsiders, you are very powerful. I will leave and let you have this territory.” With that, the Cla.s.s 9 feral beast no longer bother with Rui Jin. It leaped through the formation. Cla.s.s 9 feral beasts was equivalent to Saint Emperors. They were not easy to kill, and if they wanted to leave, even Rui Jin and Hei Yu were not enough to stop them. In the end, the first region between the formations was reduced to a ground full of 16th Star feral beasts where blood dyed the ground. Jian Chen checked through their corpses and found by surprise that they all possessed thunderstones. Even the weakest thunderstones were at the Seventh Heavenly Layer, and there were even two at the Great Perfection of Saint King. 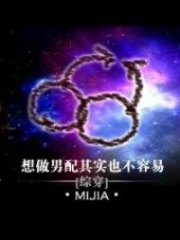 “Senior Rui Jin, senior Hei Yu, senior Hong Lian, can you help me fill up these thunderstones with energy when you have the time?” Jian Chen collected all the thunderstones and pa.s.sed them all to the three of them along with his 15th Star thunderstones in his s.p.a.ce Ring. The thunderstones required an expert that was just as strong or stronger than the beast it came from to input energy, and only then could they become quaking thunders. Otherwise, nothing would happen at all. The three of them split the thunderstones into three portions. It was a simple matter to them. “Jian Chen, where is this place? Is it the Death Nest?” Hei Yu looked around and asked. “No, this is a zone of danger in the sea realm, the divine realm!” Jian Chen explained. Suddenly, streaks of light began to s.h.i.+ne from Rui Jin’s eyes. He examined the formations without even blinking. As he slowly glanced around, two layers of formations hidden in s.p.a.ce slowly appeared. “The formations here are very powerful and very profound,” Rui Jin said after a while. He was very stern. Now that the threat of the beasts had been resolved, Jian Chen placed his focus on the divine water of the world and the formations again. He then let the white tiger out of the artifact s.p.a.ce and continued to attempt to pa.s.s through the formations with the white tiger. But, to Jian Chen’s disappointment, the formations here were extraordinary. The white tiger’s innate ability was actually ineffective against these formations. “It’s a pity that A’Da and them aren’t here. They’ve studied formations quite extensively, so if they were here, we could find a way again very quickly,” Jian Chen gently sighed. He had come across quite a few formations in his life, but he had broken through all of them through brute strength. He had never studied them, so he had no foundation in the aspect of formations. “I’ve tried earlier and found that these formations can completely withstand a full-powered attack from me. It’s impossible to break through them forcefully,” Hei Yu said as well. He was extremely stern. He had only come across formations so powerful once before and that was in the Bright Moon Divine Hall. “Let me try!” Rui Jin called out. He swung the sword in his hands and struck the formation as hard as he could. However, the formation only shook slightly after being hit by his attack that was on-par with a Saint Emperor. He could not break through it. Rui Jin refused to believe this outcome and swung his sword several more times. He struck both the first and second layer of formations, but the outcome was still the same. The toughness of the formations could be described as heaven-defying. Strength at the level of Saint Emperors was not enough to break through them forcefully. “The formations have been struck by attacks from the beasts during the instability, so they’ve undergone some minute changes. The way in before has become useless now, or I could’ve tried using A’Da’s special sequence of footsteps that had brought us in in the first place. Looks like we’re now just stuck here and need to slowly study the formation,” Jian Chen helplessly said. They could do nothing about the formations present here. “Three steps diagonally left, nine steps diagonally right, five steps left, two steps back, four steps diagonally right…” Suddenly, a voice rang out in Jian Chen’s head. Zi Ying remained quiet for some time before speaking. “Zi Ying, is this the way into the formation?” Jian Chen asked in surprise and joy. “Master, this is one of the many ways into this formation. This formation may be extraordinary, but it is not one of the best. It is not a problem for us,” said Zi Ying. “Master, Zi Ying and I know quite a lot of things. We may just be sword spirits, but we have existed for a very long time after all. We can find a way through most formations, but not all formations have a method to get through them. There are many killing formations that have no way out. If master comes across a formation like this, we will be no help.” Qing Suo’s pleasant voice rang out. It was filled with pride. Jian Chen followed the special sequence that Zi Ying told him. He finally made his way into the second region without any obstructions while Rui Jin and the others did not return to the artifact s.p.a.ce either. They followed Jian Chen to the second region. The white tiger stayed out as well. It shrank to the size of a cat and quietly sat on Jian Chen’s shoulder. The light in its eyes flickered as it looked around curiously, but its gaze stopped many times on the formations. It would produce a deep growl from time to time, appearing to be rather irritated. It felt unhappy with what happened earlier. Clearly, the white tiger took the fact that it was unable to pa.s.s through the formations to heart. The second region was very safe. There were no beasts there, and Jian Chen was even closer to the spirit sea after arriving there, such that he could see the lake that glowed with water several kilometers away. “Master, you need to attack the eighteen crucial points of the formation to get through it. They need to be destroyed at the same time and a pa.s.sage through the formation will rip open. This pa.s.sage closes up very fast, so you need to pa.s.s through it as quickly as you can,” Zi Ying saw through the secrets of the formations very soon and told Jian Chen how to get past it. “That’s easy. I can instantly send out eighteen sword Qi,” said Jian Chen. He was proficient with using the sword fast, so this was nothing difficult to him. “Master, it won’t be enough with your power. You need attacks at the level of Saint Emperors to destroy these crucial points,” Zi Ying followed up. “What? It needs to be at the level of Saint Emperors?” Jian Chen was shocked. He had never come across such a powerful formation where only Saint Emperors could enter. “Master, from my observations, the power of the formation does not seem to be at its maximum. Otherwise, the eighteen crucial points would have been even tougher, and even attacks at Saint Emperor wouldn’t have been enough. The power of this formation completely exceeds this world. It shouldn’t have appeared here in the first place,” said Qing Suo. “Was this formation cast down by someone in the Origin realm?” Jian Chen was secretly shocked. The first person he thought of was the sea G.o.ddess. Afterward, Jian Chen told Rui Jin and the other two how to get past the formation. He needed to rely on them for attacks at the level of Saint Emperors. “My strength has been greatly reduced right now. I can’t use the full force of the Scorching G.o.dfire Hairpin, so I won’t be able to attack a crucial point,” Hong Lian emotionlessly replied. “There are many secret techniques I know that can send out eighteen attacks at the same time, but I can only use the Sacred Dragon’s Sword to reach the might of Saint Emperors. It’s impossible for me to attack that many times in so little time,” Rui Jin frowned. “I can deal six attacks. There are eight points left.” Rui Jin stood with his arms crossed as he sternly stared at the formation ahead. Jian Chen slightly frowned. He still possessed some more divine water, which was the portion he had bought with a vast quant.i.ty of crystal coins from the auction. However, he had prepared it to forge the Azulet swords, and there was even less than what he had just obtained. Even if Hong Lian ingested it, she might not be able to benefit from it. It was not enough to recover another level of cultivation’s worth of strength. You're reading novel Chaotic Sword God Chapter 1132: The Third Layer Of Formations online at LightNovelFree.com. You can use the follow function to bookmark your favorite novel ( Only for registered users ). If you find any errors ( broken links, can't load photos, etc.. ), Please let us know so we can fix it as soon as possible. And when you start a conversation or debate about a certain topic with other people, please do not offend them just because you don't like their opinions. You're reading Chaotic Sword God Chapter 1132: The Third Layer Of Formations. This novel has been translated by Updating. Author: Xin Xing Xiao Yao already has 6036 views. Current Time is Apr-21-2019 05:08:33 AM.